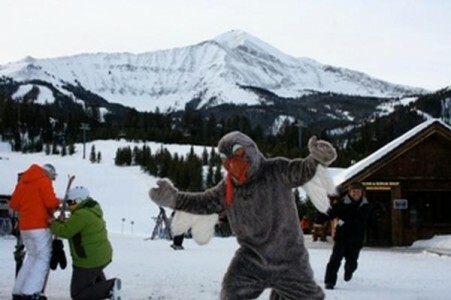 Moonlight Basin is hosting its 6th annual Turkey for a Ticket Food Drive to benefit the Gallatin Valley Food Bank. This is a great chance to support the GVFB by donating a frozen turkey or 20 cans of food and earn a FREE lift ticket! Season pass holders are encouraged to donate and receive a transferable voucher, and everyone is also encouraged to team up with co-workers to make a donation on behalf their employers. So gather your friends, family and co-workers and get involved! It is a fun event for a great cause! Visit www.gallatinvalleyfoodbank.org for the latest food wish list! CLICK HERE for direct and detailed information. Donations will only be accepted on Friday, December 14 at Moonlight Basin and also at Albertsons in Bozeman. Moonlight Basin: Donation drop-off located at Madison Village Base Area from 8:30am-1pm for all donations. Albertsons: Off-site donations and voucher distribution will be at Albertsons in Bozeman in front of the store from 7:30am-11am for Season Pass Holder and Corporate donations only.